To confirm your place on a stadium tour as well as check opening times, contact the Visit Stadion Poljud site directly. I was staying at the Guest House Vujevic, which is a short walk from the stadium. If you’re visiting from the historic center it’s a 30 minute walk and you may consider taking a bus or taxi. Stadion Poljud is located north of the historic center of Split. It’s possible to walk to the stadium from the center and it should take less than 30 minutes. 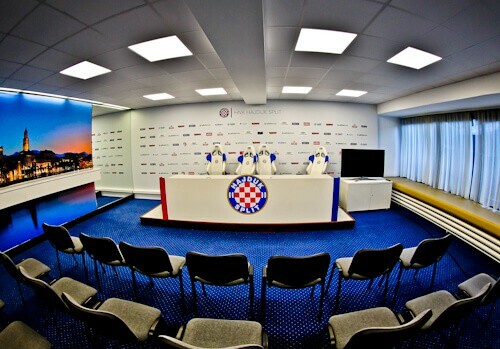 Together with Hajduk Split football matches, the Croatia national team play matches here. Additionally, to take a stadium and museum tour, ask at the club shop. Furthermore, the stadium hosts the popular annual Ultra Europe music festival which has a information and ticket booth nearby. In the Hajduk Fan Shop you can buy lots of team merchandise. Unlike the expensive club shops you’ll see in western Europe, this one has some low priced items. It’s worth taking a look around even if you’re not a Hajduk fan. Equally important, this is where you buy the museum and stadium tour tickets. Any questions you have about matchday tickets, the staff will be happy to advise. Additionally, it’s extremely easy to get a matchday ticket as the stadium is rarely full. 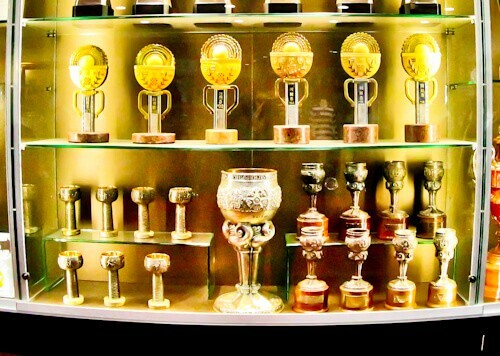 The museum consists mainly of trophies and historic football shirts worn by famous players. Famous players to have played for Hajduk Split include Zlatko Vujovic, Ivan Gudelj, Zoran Simovic and more recently, Slaven Bilic. 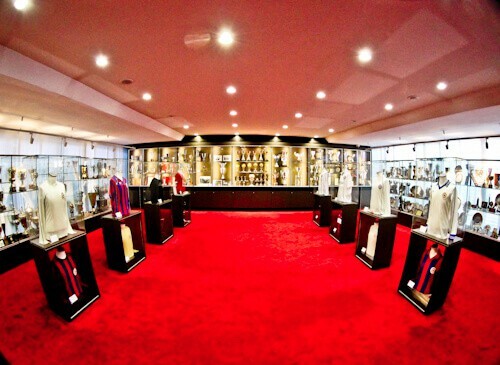 In addition, any questions you have about the trophies as well as famous players, the guide will be keen to answer. Furthermore memorabilia of famous games played here are displayed. Legendary teams such as Manchester United, Arsenal, Marseille, Spurs, Torino, Bordeaux as well as Valencia have all lost here. It’s worth asking the guide if your favorite team has played against Hajduk Split and what the outcome was. In addition to national league, the Yugoslav cup was one of the major football trophies during the period of Yugoslavia. The last champions of the Yugoslav cup before the break up of the country were Hajduk Split. When the country broke up, there was war and chaos, so the Yugoslav cup had to be hidden. It’s believed that the cup was buried in order to prevent it from being stolen or destroyed. After the Yugoslav wars finished and peace was restored, the Yugoslav cup was put on display in the museum. As Hajduk Split were the last winners, they chose to keep it. In my opinion they deserve to keep it as they won it 5 consecutive times in the 70’s. For me, seeing this historic trophy was the highlight of the tour. The stadium is officially called the Poljud stadium and has a capacity of 35,000. 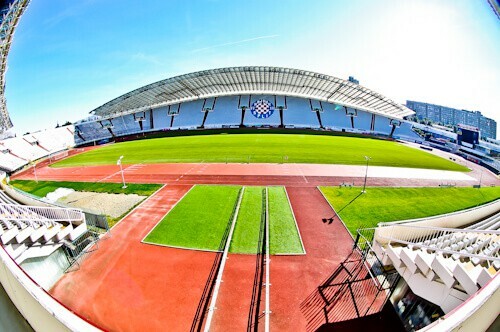 Similarly to other Croatian football stadiums, there is a running track separating the pitch from the stadium. When I visited, it was shortly after the Ultra Europe music festival so they were busy repairing the pitch ready to play football again. Could you imagine being here in 1979 when the popular Yugoslavian leader Josip Broz Tito was in attendance, the atmosphere must have been electric! Furthermore, in that era the stadium had a capacity of 55,000. As part of the stadium tour you will walk out of the players tunnel. Imagine how many legendary players have walked out through this players tunnel. Anyone who remembers the golden era of Yugoslav football will appreciate the stars who passed through here. As can be seen, you’re welcome to take as many pictures as you like in and around the players tunnel. As part of the stadium tour you may walk to the side of the pitch. It’s prohibited to step onto the grass but you may walk around the running track to take photographs of the stadium from different angles. Another key point, is that the identifiable part of the Stadion Poljud is the Hajduk Split logo in the seats. One of the best memories you’ll take with you from the tour is a photo in the press room. The guide will encourage you to sit where the managers and players sit to take your photos. Unfortunately it’s not possible to enter the dressing rooms but you can ask the guide, he may say yes. 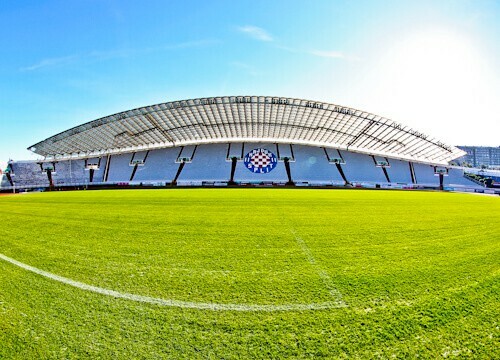 Enjoy the tour of this historic stadium which is a major part of Yugoslavian and Croatian history. In addition be sure to ask the guide any questions you have about the the club. 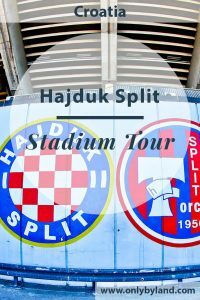 The guide will be a Hajduk Split fan and know everything you could imagine about the club and more! Most importantly make sure you take photos throughout the tour and check out the Yugoslav cup. Contact the Visit Stadion Poljud site to check opening hours and tour availability. What to see in Split Croatia, including Diocletian’s Palace and a day trip to Trogir. 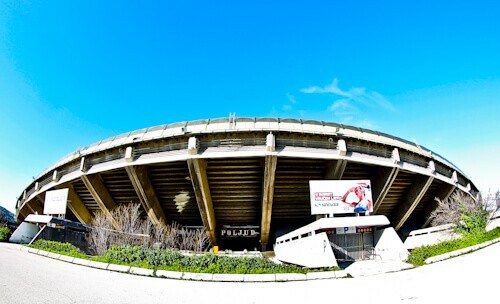 Take a tour of the Red Star Belgrade stadium in Serbia.